We’ve got a few simple upcycle things you can make with soda bottles! I use these myself regularly and they are awesome! Some work best with specific sizes of bottles. I made one of these drop catchers for my tea dispenser I keep in the refrigerator. 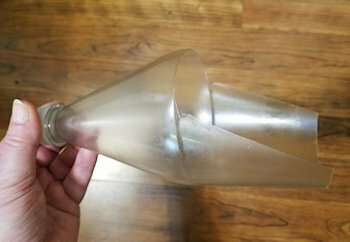 How do you keep the sides of the bottle from curling inward when they are cut? Hi Sherri! The only problem I had with them turning in was with the scoop. The trick is to not make the sides of the scoop come up too far. Here is a quick one I made for my current dog food bin. You can see how I kept the sides trimmed back. reading this great piece oof writing to increase my experience. Thanks again for sharing this post at Seasons on Saturday link party! You were featured!! So come by tomorrow and grab your button! How neat! These are all great ideas! Very creative pasta holder, and I love the drip catcher, I could use one of those. Thanks so much for sharing! Pinning and sharing! Thanks Linda. So glad you enjoyed them! Your welcome Kristen. Thanks for stopping by! My husband goes through so many soda bottles so these are super helpful! I would be interested in seeing a lot more uses for them!! Thanks Abbi! 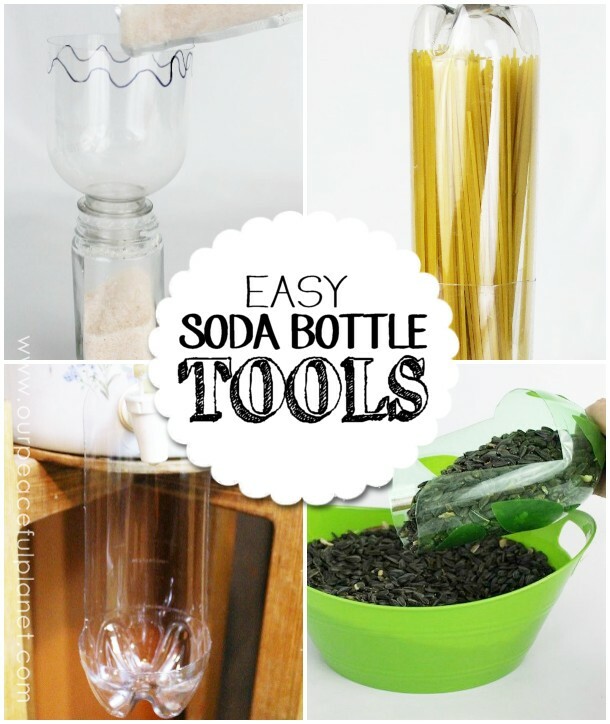 I have a WHOLE section on using soda bottles! Its under my Craft Menu on top!